On the night of September 14, 1943, Ensign William Haley Brown was at the controls of his SBD-5 Dauntless, (Bu. No. 28204), awaiting instructions as he sat on one of the runways at the Charlestown Naval Auxiliary Air Field. He and other aircraft in his squadron were scheduled to begin night field carrier landing training. Ensign Brown was assigned to VC-32. Meanwhile, an F6F-3 Hellcat, (Bu. No. 25732), was approaching to land on the same runway occupied by Ensign Brown and the other aircraft. Due to darkness, and light intermittent drizzle, the pilot of the Hellcat didn’t see the Dauntless until it was too late. 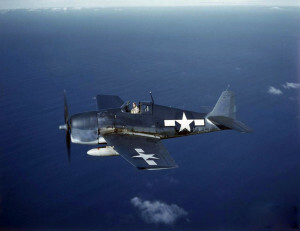 The Hellcat crashed into the Dauntless killing Ensign brown. The pilot of the Hellcat escaped without injury. 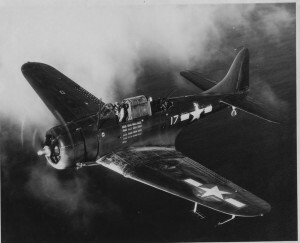 The Hellcat received major structural damage, the Dauntless was damaged beyond repair. The accident was blamed on the airport facilities and poor organization. On April 17, 1944, a flight of four F6F-3 Hellcats left Quonset Point Naval Air Station for a familiarization training flight. During the flight the aircraft flew in a line of four, in a “follow the leader” type of pattern. It was during a phase of the exercise when the aircraft were changing positions in the formation that a mid-air collision between two of the aircraft occurred. Both aircraft, (Bu. No. 40345), piloted by Ensign Stephen L. Smith, 21, and (Bu. No. 66034), piloted by Lieutenant Robert C. Stimson, 27, crashed and exploded in a wooded portion of the “Great Swamp” area of Charlestown. Neither pilot survived. Lieutenant Robert Charles Stimson was from of Shelby, Ohio, and was survived by his wife. He’s buried in Oakland Cemetery in Shelby. To read more about Lt. Stimson, and to see photographs of him, go to www.findagrave.com, memorial 73196817.